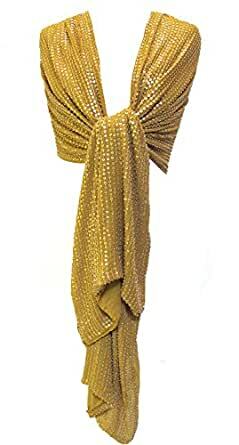 Gorgeous silk chiffon stole completely covered with sequin and beadwork. Fully lined and drapes beautifully. Approx. 18" W x 80" L. 100% Silk. Dryclean. Imported.